Welcome to the past, present and future of information logging! Tired of logging in ugly .txt files? Do you want to access to your logs at any time, any place? Sure you do. And here is the goat that will save your day. Welcome to cabralog! It's ridiculously simple to integrate within your existing software. Unlimited projects and three kinds of logs, some of them with charts. Cabralog is free up to 100 requests per hour. Contact us if you need more. Whether making simple http requests or using one of our official packages, you'll be logging stuff in just a few minutes. Download our App, create an account and use your user and project tokens to start, that's it. - "log": this is the traditional one, you can log a bunch of info and watch it in a time ordered list. - "text": this kind of log allows you to store simple data from which you only need the newest value, for example your room current temperature. 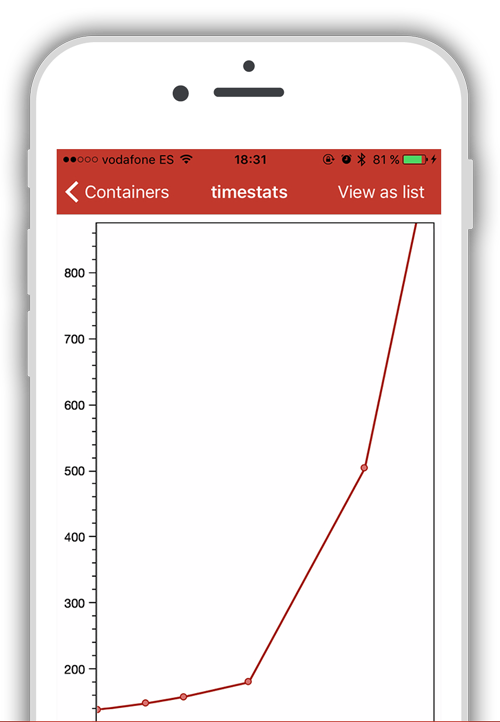 - "timeStats": with a "TimeStats" log, you can store double values and watch a chart with the evolution of your data through time. You have never logged this easy on the cloud? Do you? Remember it's free. 100 requests per hour, for your incredible application. If you need more than that, we are here to help, contact us at help@cabralog.es or Twitter and we'll see what we can do.